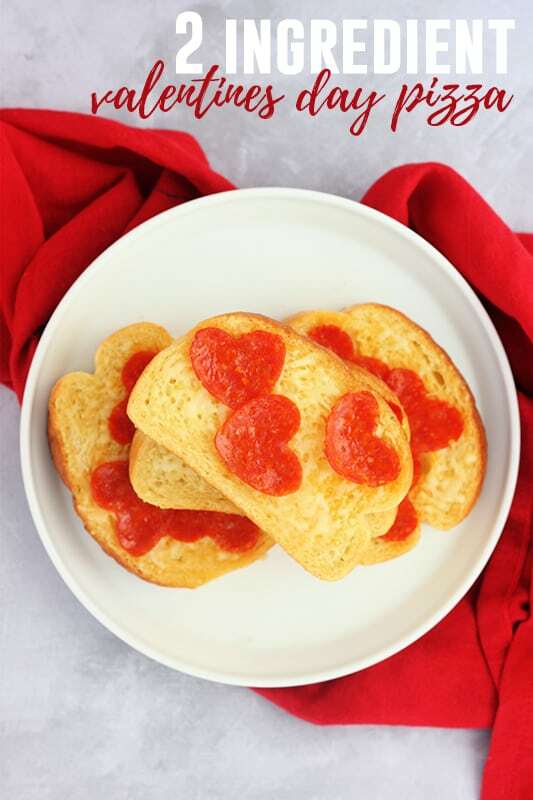 This super easy Valentine Pizza Snack is only TWO ingredients and kid approved! It is the perfect way to show some love to your family! I celebrate my family every chance I get. Give me a theme and I go absolutely crazy. Celebrating the day of love is no exception! Give this girl a heart shaped cookie cutter and the possibilities are endless! 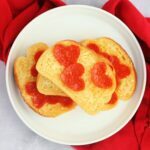 This super simple snack idea came to me when we had nothing in our refrigerator but a pack of pepperoni and frozen Texas toast. This recipe is super high on our favorites list. I needed a quick snack for a starving 9 year old and boy does this deliver. It takes less than 5 minutes to prep and can be customized in so many ways. We like pain ol’ pepperoni but you could really add any pizza topping! 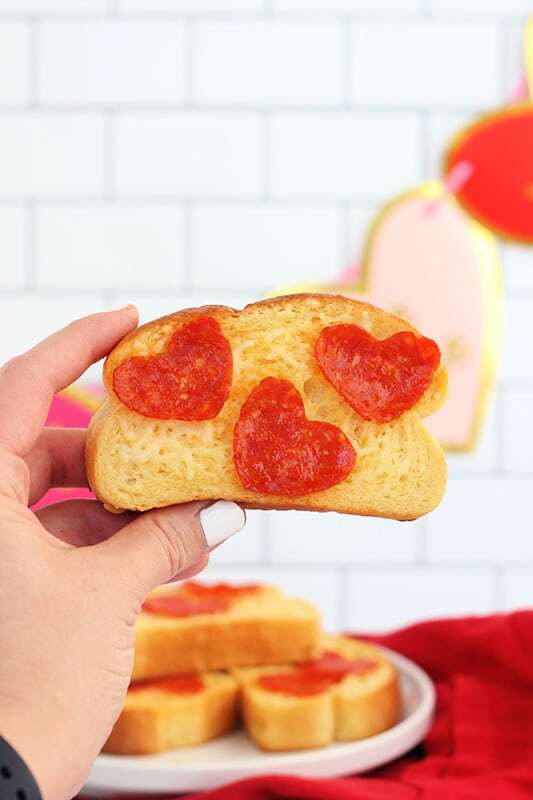 Line pepperoni slices onto cheesy garlic bread or toast. Can it get much easier? All you have to do is stack and bake! 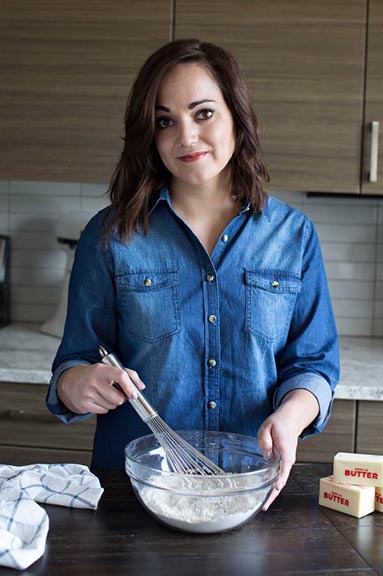 Hungry kids everywhere will be thanking you for this delicious after school snack recipe! You can serve this fun and festive snack recipe with homemade pizza sauce, ranch dressing, or as is! 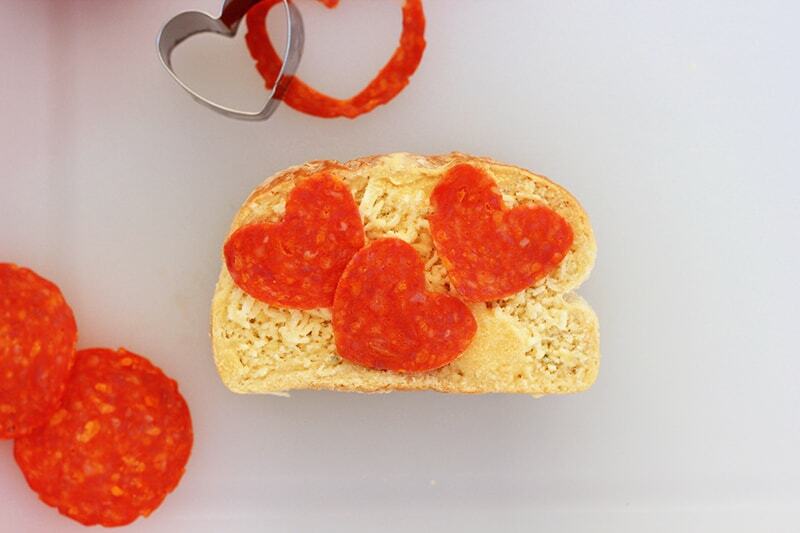 We especially love cutting small shapes in the pepperoni. My nine year old said it adds extra love to the dish making it extra special. Preheat your oven to 425 degrees. Line a baking tray with foil for easy cleanup. 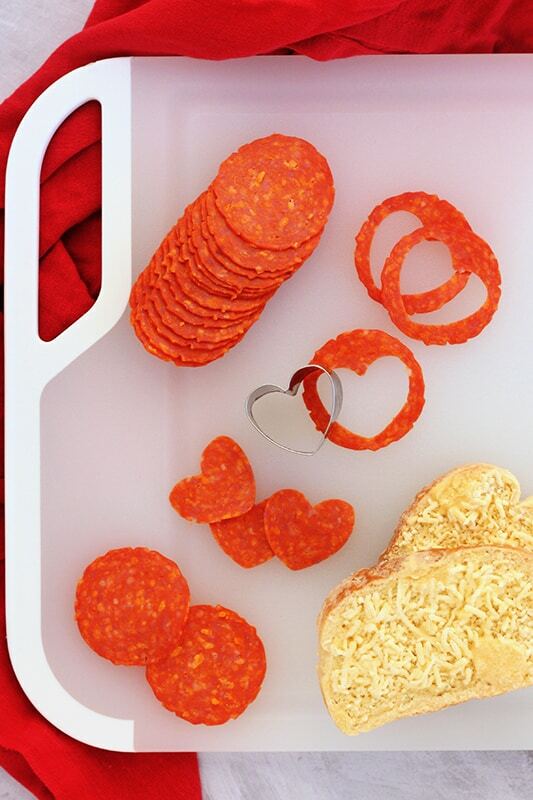 Slice your pepperoni into heart shapes using a knife or cookie cutter. Place 3 onto each piece of toast. Place on your baking tray and cook 5-7 minutes or until the cheese is melted and the edges of the toast are slightly crisp. Serve immediately.